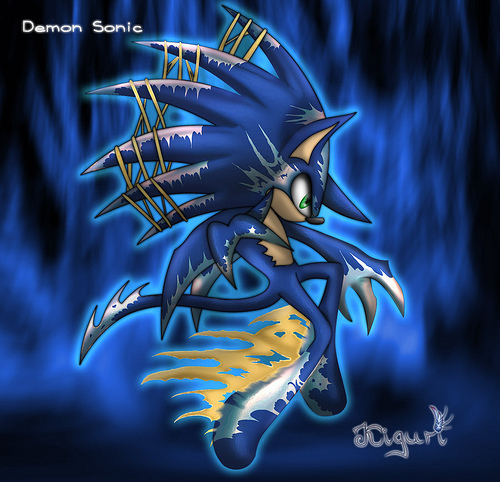 Demon Sonic. . Wallpaper and background images in the 刺猬索尼克 club tagged: sonic demon. 1. i dont know were his feet are. 2. i didnt know you existed untill now toxicsonic401, and im not making fun of him thats just what hes called. all ways about the feet.............. demon hedgehogs dont have feet i should know!!!!!!!!!!!!! !